Hello fellow bikers, I just returned from the 31st NCOM convention in Atlantic City. It was a very well attended event. Mostly East Coast clubs and independents were there. I met a wide variety of people. I shared a room with a guy from Kentucky and learned that they don’t have ABATE or MMA there. Kentucky Motorcyclist Association is their state motorcycle rights organization (SMRO). A number of states are similar. 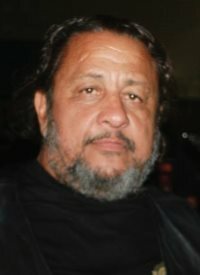 Maryland passed a biker anti-profiling bill out of their legislature and it is currently awaiting their governor’s signature which should happen on May 18. The state’s SMROs and Coalition of Clubs and Independents worked together for three years to accomplish this. I spoke with some of the leaders to gain insight into the success of their actions. As it turns out, it is basically all of them working together for a goal that all desired. A successful movement is usually a large number of people working together, sans ego trips, to attain a desired outcome. During the convention we passed the “hat” and raised $3,000.00 for the families of the Waco victims. Patches are being sold for that effort for ten dollars. The 177 arrested and the nine killed had their lives ruined and their families are paying a terrible price for attending a political gathering. Law enforcement agencies around the country are using the massacre to justify increased presence at biker events. The Save the Patch fund has been reconfigured. There are five board members and they are guaranteeing transparency. Two members, one a 1% patch holder and the other a former 1% patch holder are no longer in a position to distribute funds. There was a question of trust that was misplaced yet asked. 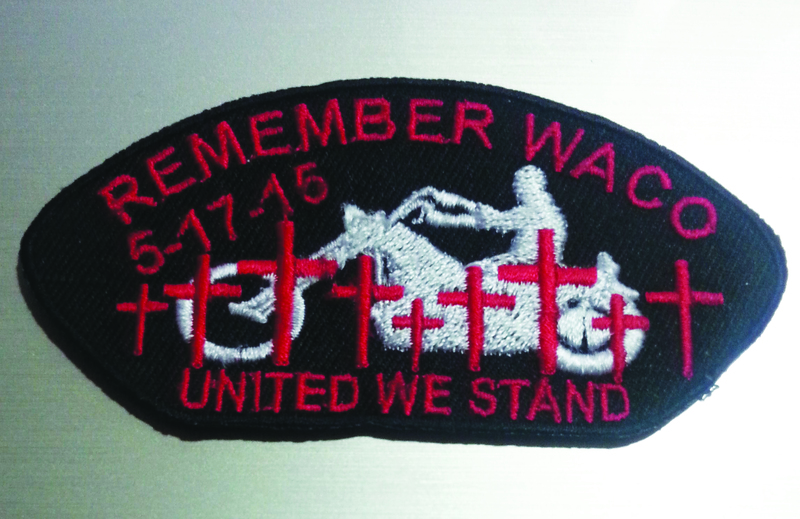 All monies raised will be used solely to fight law enforcement efforts to seize patches from bikers accused of criminal activity. None will be used for criminal defense. 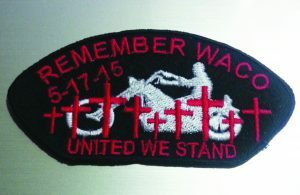 Donations or questions may be sent to Save The Patch, C/O Louis Nobs, PO Box 1172, Conroe, TX 77305 or call (936) 443-4500 sfjlouienobs@gmail.com. I agree with him, but we have to fight. Those who would see our lifestyle taken away are relentless.